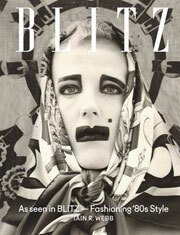 Selected highlights from the fashion show at the Albery Theatre in London in June 1986, including jackets customised by John Galliano, BLITZ fashion editor Iain R Webb, Joseph, Stephen Jones, Leigh Bowery, Eric Bergere of Hermes and Vivienne Westwood. Appearances from Sybile and the Enfield Morris Men (! ), Boy George, Jenny Howarth, Nick Heyward and Jane Spencer, Leigh Bowery, and Leah. Some jackets from the collection are currently featured in the Club To Catwalk exhibition at the Victoria & Albert Museum in London, as well as additional show footage.